I want this guy’s grammar-correcting kit. Have you heard of this “Grammar vigilante”? 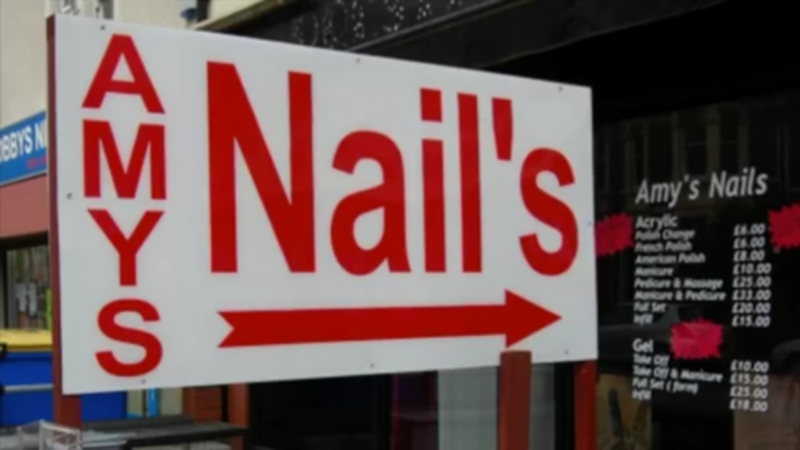 For more than a decade, an unknown corrector of poor English has been venturing out in the dead of night and tidying up the punctuation on Bristol’s shop fronts and street signs. 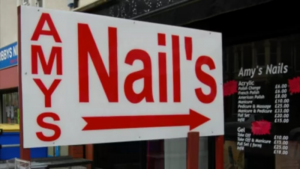 … The man said he began by scratching out an extraneous apostrophe on a sign but had since become more sophisticated and has built an “apostrophiser” – a long-handled piece of kit that allows him to reach up to shop signs to add in, or cover up, offending punctuation marks. “This is a device that enables you to plant an apostrophe quite high up and get over any obstacles,” he said. My hero! He should make those devices and sell them! Hah! I love this guy. I’m trying to remember the apostrophe error I saw on a business’s truck the other day. Maybe something about getting rid of termite’s. I think business owners owe this guy a debt of gratitude for fixing their signs. Apparently he’s careful and neat about it. 4 Comments → I want this guy’s grammar-correcting kit. According to court records, Deck and Herson toured the United States from March to May, wiping out errors on government and private signs. On March 28, while at Desert View Watchtower on the South Rim [of the Grand Canyon], they used a white-out product and a permanent marker to deface a sign painted more than 60 years ago by artist Mary Colter. The sign, a National Historic Landmark, was considered unique and irreplaceable, according to Sandy Raynor, a spokeswoman for the U.S. Attorney’s Office in Phoenix. They were convicted of vandalism, and got hit with a $3000 fine and a year’s probation, during which they weren’t permitted to visit any national parks. AARGH no probably you should not deface Historic Landmark signs, even if they have an error on them. … and turned their experience into a book, THE GREAT TYPO HUNT, because wouldn’t you?